JeffQ posted a message on Left alignment for Highlight tooltip? Currently the default alignment for highlight tooltip is "center". I want to change it to "left". I am also trying to find the layout file for the highlight tooltip. Anyone know where is it? I can't seem to find it in the UI editor. Also, after creating a new layout in the UI editor, how do I apply it to the highlight tooltip it self? Hm unless my memory is faulty, I am pretty certain I have drag the UI back in beta. Because I still have a map I tested on where the minimap is at the middle of the screen. I also remember there is a video that demonstrates this. But it has been so long, so my memory might be wrong. Thanks for the clarification :) Now I just have to wait for the full release! @willuwontu After enabling it, the UI still can't be dragged. @Bibendus Yeap, same here. I wonder what changed Blizzard mind to make disable drag. Or maybe I am just missing something crucial. Hopefully someone who knows the video source or solution to it can link it here. I am finally giving up searching for this after 2 hours. I remember there was a youtube video on this thing. I also couldn't find anything with google with the in game ui editor. Most threads with this question are unanswered. Did blizzard disable it? I can't seem to move any frame at all. 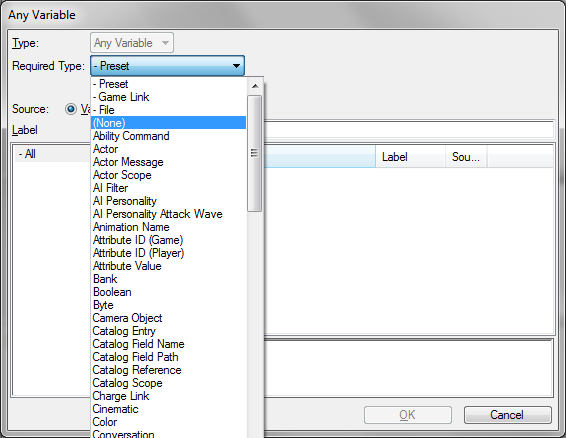 Just incase: In game UI editor is accessible by pressing ctrl + alt + F12 when in game or a test document. You can then drag stuff around, however dragging is not working for me. 1. My button in the second command page is not showing the [level], however the learned ability will show the [level] by default. I made sure the "Show Level" flag is checked in the button. How do I make it show when learning the ability? 2. When I checked the Submenu Full Validation. I get 2 extra points. (Suppose to be 5 as that is set in the Learn Ability > Ability Points). Furthermore, after I learnt an ability, it will stay at 5 forever even after i learn another 1. Is this a bug? 3. On a side note, what does "Best Unit" under Learn Ability flag mean? If there is a tutorial out there for my questions below feel free to link me to it. I attached a map below for easier reference. 1. Smoke is a 4 level ability. How do I get the "command card level button tooltip" under "Ability > Effect-Instant > Smoke" to show up for the first level? Right now it is showing the default button tooltip for the 1st level and shows the 1st "command card level button tooltip" at level 2. 3. How do I gray out the "Learn Ability" at the command card (1st page) when there is no points to spend? JeffQ posted a message on (Solved) Starting Stack (Behavior Buff)? That is actually useful. For people who want to know how I do it now (initial buff stack). I create a buff that expires in 1 second. The expire effect will call apply behavior which uses the behavior count. @Mugen245 Sounds like a useful source to be able to see open source sotis. Thanks for info! Thanks for the help. How I wish there was a way to set the stack amount by default. Is it possible to set the amount of buff (able to stack to 100) amount at the start to be a value? If so, how do i do it? Eg: I want a unit when created, it will have 10 buff stacks on it. JeffQ posted a message on Game Variants, What bug is this? Everytime when I setup game variants, it will run fine the first time. If I try to save the map and run it again, the error above will pop up. Because of that, all my settings in battle.net lobby is messed up. I couldn't figure what does the error mean, any help would be appreciated. By default it is set to none which should show all accessible stuff that I created. However, there is no -record in that list. Here is a screenshot. Nothing seems to appear when I use "Set Variable" in a trigger. How do I access record? JeffQ posted a message on Left click to drop item? Is it possible to change an inventory so that when a player Left-click an item will drop the item instead of right click and select a position?